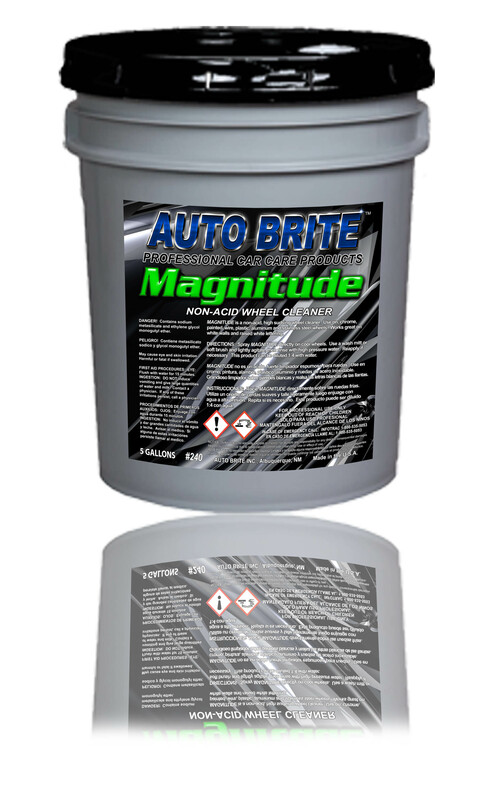 Magnitude - Wheel Cleaner - A highly effective wheel cleaner that safely removes brake dust, oxidation, oil, dirt and rust without brushing. This unique non Hydrofluoric Acid formula makes painted wheels shine like new. Spray-on, wipe-off, no scrubbing necessary. Not for use on polished aluminum.